Do you feel swamped from the clutter in your house? 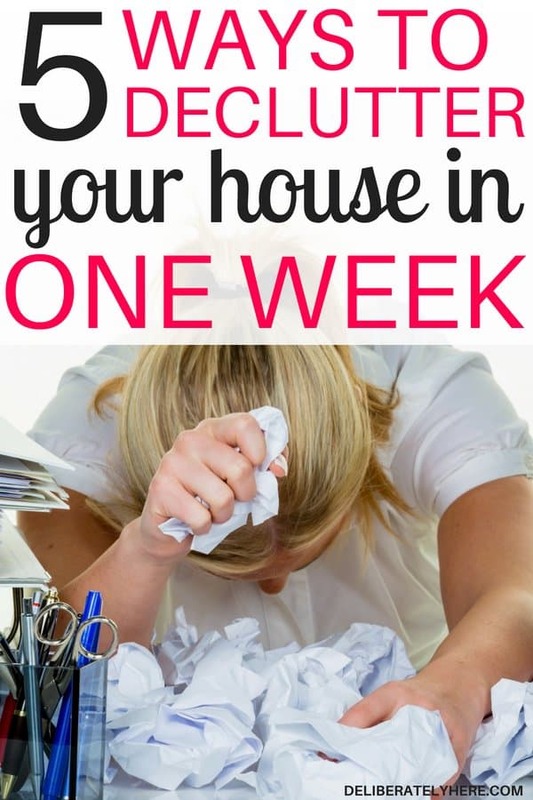 Here’s how to declutter your house in one week! That stuff that has a sneaky way of getting into your house and staying put for the years and years. The stuff that you really don’t need, but you keep around anyway. 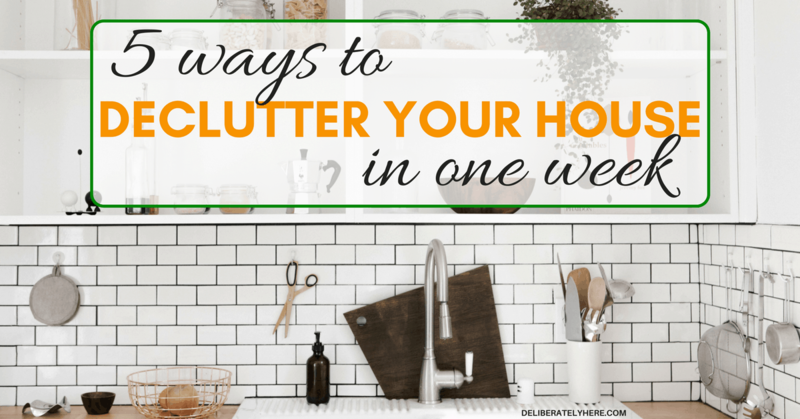 Do you struggle with a clutter-filled house? It’s so easy to overlook how much stuff you truly have and how much stuff you really don’t use if you don’t purge your house regularly. And, when you don’t realize how much useless stuff you have, you end up bringing even MORE useless stuff into your house. Whether you’re holding on to clothes, linens, appliances, toys, or just random stuff, there will come a point when you realize that all that stuff lying around your house is actually clutter – and once you come to that realization it can often feel like you’re home is already too far gone. How are you supposed to declutter a house that has stuff busting out of every closet? When it comes to the clutter in our house, most of it is clothing clutter. I have always gotten hand-me-downs throughout my life, and that has resulted in me ALWAYS having way more clothes than I needed. I could never bring myself to turn the hand-me-downs down, because I thought I would hurt people’s feelings, and once I had them I struggled to get rid of them because they felt like they had been a gift to me, and I hate getting rid of gifts. Since I’ve had so many hand-me-downs coming in over the years (and I rarely ever got rid of any of them), the closet in our house quickly became cluttered, disorganized, and filled with clothes that I never wore. Even if the clothes were a couple sizes too big or a couple sizes too small, I still held on to them. It wasn’t until my husband and I moved several times in 6 months that I realized something (ANYTHING) needed to be done about these clothes. There was no way I was going to pack and unpack boxes upon boxes of clothes that I didn’t even wear. You might be thinking that having too many clothes isn’t the same as having a cluttered home, but having a cluttered closet wasn’t the only thing going on in our house – because I got used to holding on to all the articles of clothing that I got given over the years, I started to struggle to get rid of other things in our house as well. And, well, as you can guess, clutter started piling up in many more places than just the closet. Don’t trick yourself into thinking that you’ve got the clutter in your home under control if deep down you know you don’t. 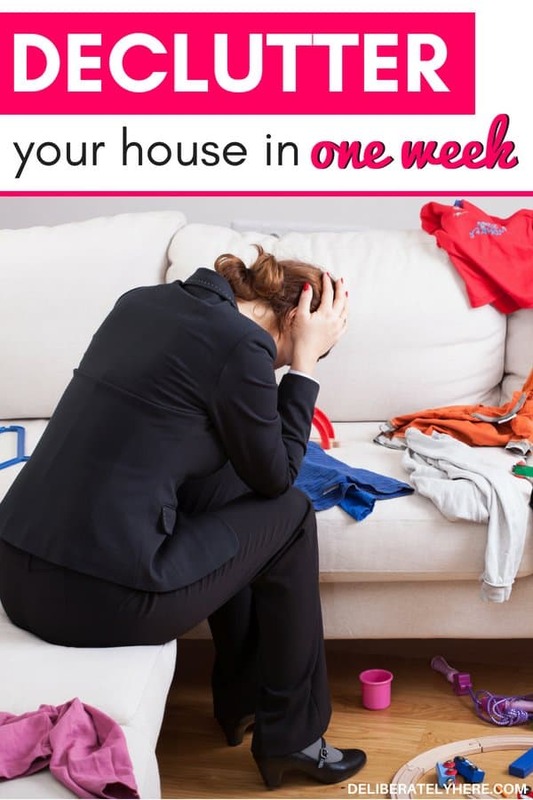 Instead, use these tips to help you manage the clutter and get it OUT of your house in a week’s time. When people think of clutter, often the first thing they think of is a house that is busting at the seams with junk. A house that has walking trails throughout it between all the clutter. But, that’s not how it starts. A cluttered house starts OUTSIDE the home. 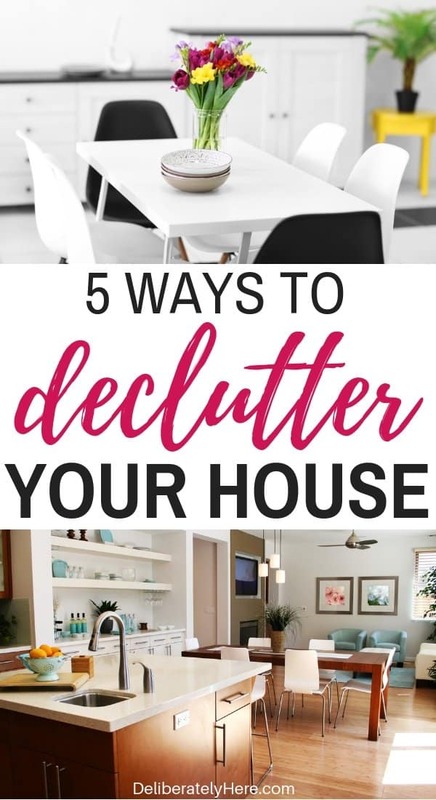 Over time, as you bring more and more stuff into your home, you will slowly (or quickly) accumulate a big pile of clutter. 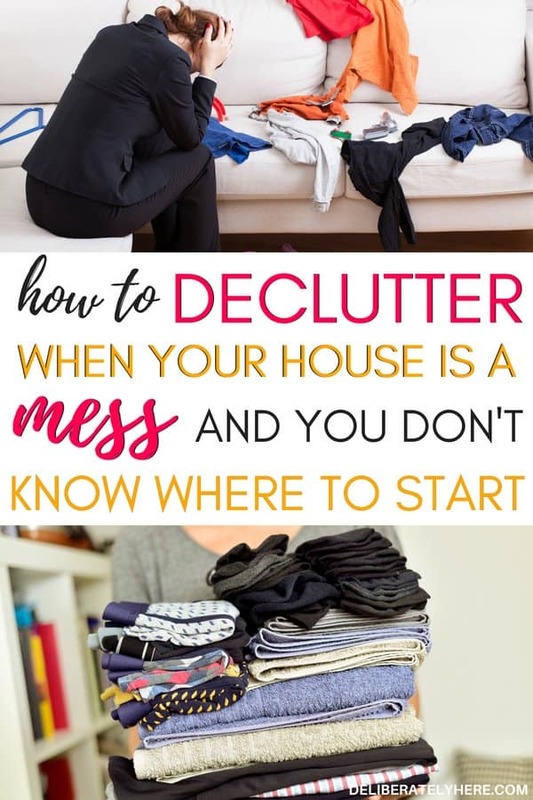 Your house didn’t start as a cluttered mess, it turned into it. 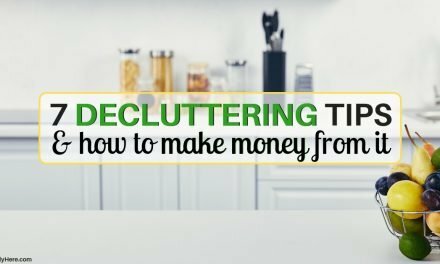 If you’re not sure what stuff is clutter and what stuff you can actually allow in your home, The Life-Changing Magic of Tidying Up will walk you through everything you need to know about the different kinds of clutter. A cluttered house can look immensely different from one person to the next. While one person’s house might be cluttered with knick-knacks, another person might struggle with clothing clutter. If you think of all those things you’ve brought into your house over the past few months, do you notice a pattern? Are you bringing things (small appliances, tools, clothes, toys, etc) into your house only to have them get used once or twice then sit around taking up space? Or, are you careful to only bring the necessities into your house? Do I already have something that serves the same or a similar purpose? Do I have room to store this? If you already have something that serves the same purpose of whatever it is you’re wanting to get, or something that serves a similar purpose and you can make do with, do you really need this? If you aren’t going to be using this at least twice a month, do you really need it? If you don’t have room to store it, DON’T get it. But, what about free stuff? Do you tend to take everything that gets offered to you for free? 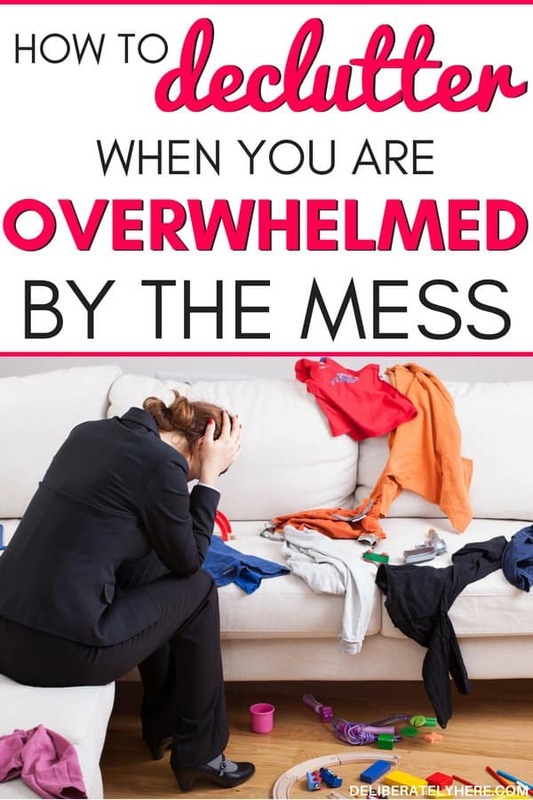 It took me a while, but eventually I was able to learn that no matter how hard I tried to control the clutter IN our house, if I wasn’t stopping the clutter before it entered our house, I would be doing nothing but wasting my time. If this is something you struggle with, I would recommend working your way through this book when you’re ready to start decluttering. 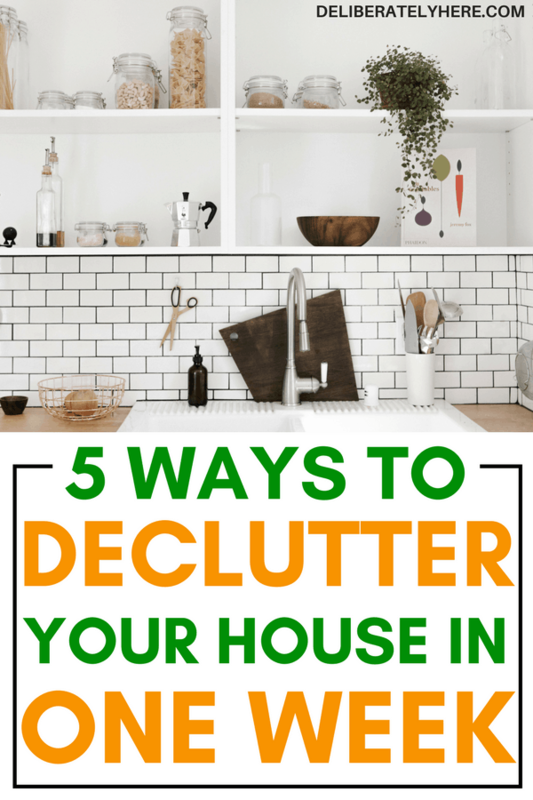 Do you stop the clutter before it enters your house? Are you keeping duplicates around your house? An extra coffee maker? An extra spice rack (we use this one to hold all our spices so we don’t have to worry about running out of room or counter space)? Several of the same sweatshirts? It’s time to get rid of the duplicates. There’s no use in keeping things sitting around taking up space when you could donate it or sell it and let someone who actually needs it get some good use out of it. For a while I would hang on to duplicates of almost everything. I kept them just in case whatever we had and used one day broke, but that meant I needed to store all the duplicate items somewhere until that day came. And most of the time that day never did come. So, letting go of duplicates to free up space in our home was a BIG learning curve for me, but once I got used to it I was surprised by how much better it felt. 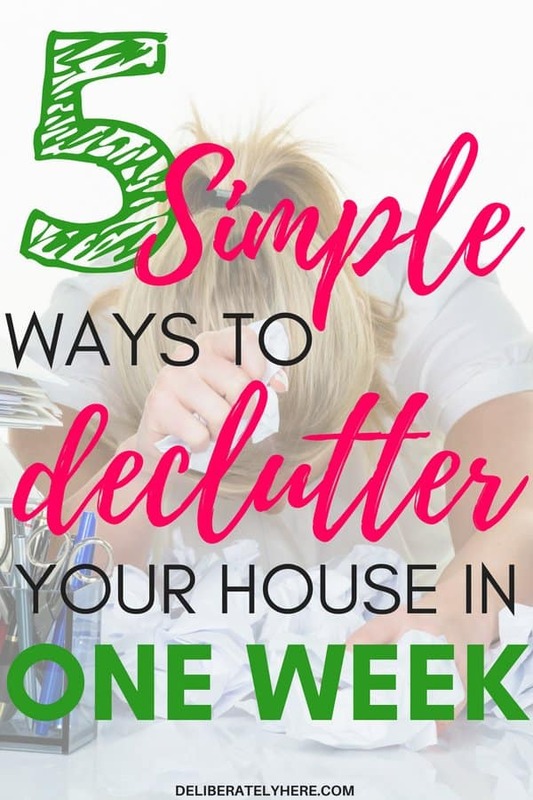 Decluttering your house (especially in such a small period of time) can be a daunting task for some, but to make it just a bit less overwhelming you should start by taking it slow. Take your house as a whole and break it up into 7 different sections, then complete one section a day until they are all finished. When you go to tackle the 7 different sections of your house, start by walking through them with a trash bag in hand. Place anything and everything that you don’t need anymore, is broken, or isn’t nice enough to donate or sell into the trash bag. Get rid of everything you don’t need or use – all this stuff is just taking up space and causing your house to look cluttered. 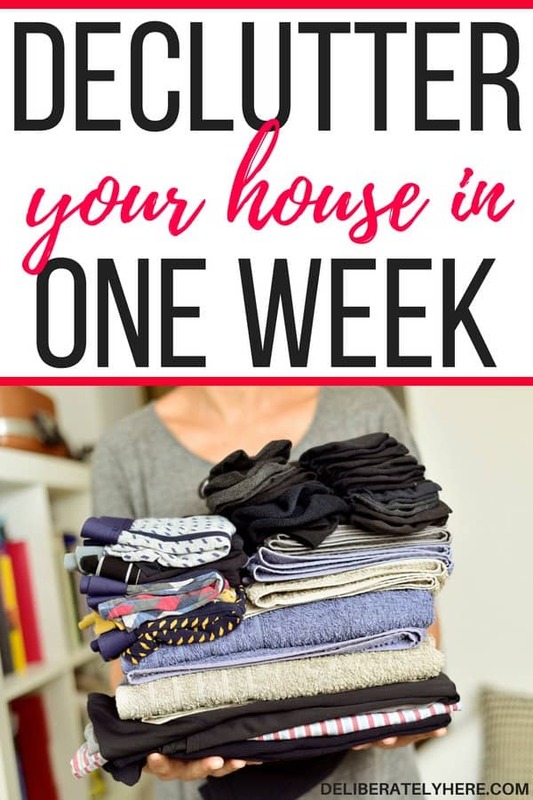 Again, do another walkthrough of the 7 different sections of your house and put things that you no longer use, but are still in good shape, into a bag to donate or sell. You can donate your stuff to a local charity or thrift store, or sell your things online or at a consignment store. Obviously, there will be a few things you will want to keep that a stranger just wouldn’t understand why you have it. There will be some sentimental items that you hang on to, and that’s fine. Learning where to draw the line is what you need to do – keep some stuff, but know when to let go of other stuff. If you’re just keeping things around because you’ve had them for years and can’t bear to let them go, but it really doesn’t have any sentimental value to you, it might be time to let it go. Practice walking through your house and looking at your stuff through the eyes of someone who isn’t attached to your belongings, then get rid of anything that is unnecessary. If you struggle with doing this by yourself, ask a trusted friend to come over and help you do this. 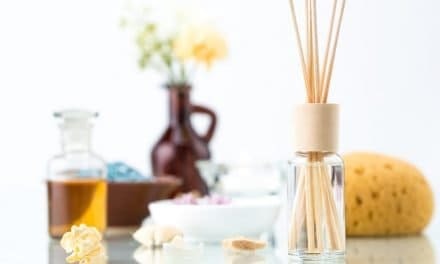 Have them ask you about the different things in your house and why you have them, and have them help you get rid of anything you no longer need. What are some things you’re holding on to that it’s time you let go of? 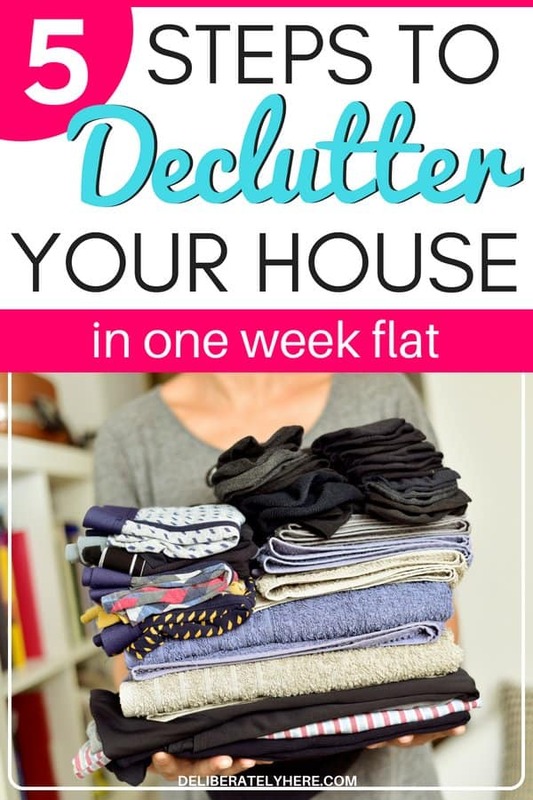 What’s your biggest struggle when it comes to decluttering your house? 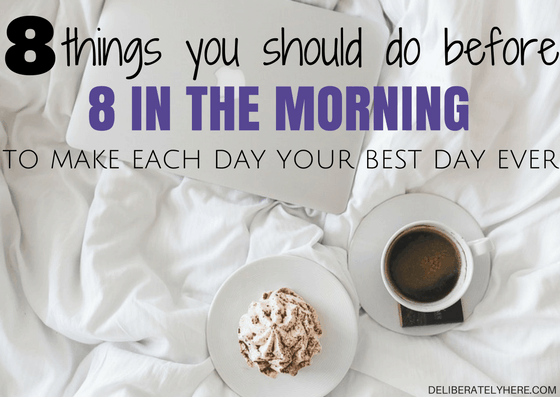 Do you struggle with letting things go, or do you get paralyzed by the mess and don’t know where to start? Thanks for sharing! Getting rid of doubles or multiples is a quick and easy way to start making decisions! This was a good read! I like the advice of seeing things as a stranger. Some times its helpful to think of yourself just moving in and how you would arrange things.